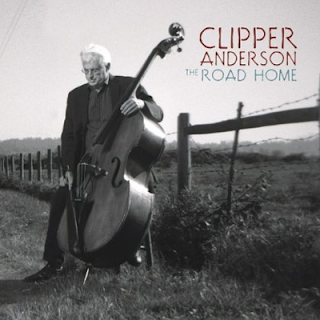 Clipper Anderson is another of the seemingly innumerable jazz artists who reside and work in the Pacific Northwest. Born and schooled in Montana, Anderson began to play the electric bass while in high school, then switched to the acoustic instrument during his tenure at the University of Montana. In addition to being part of the Seattle area’s extensive jazz cadre, he’s an active studio musician, teaches jazz bass at Pacific Lutheran University, and participates in numerous jazz festivals throughout the Northwest and Canada. For a relative unknown, Anderson has been part of a significant number of recording sessions with very well-known artists, including Greta Matassa, Michael Brecker, Bob Mintzer, Bucky Pizzarelli, Benny Golson, Phil Woods and Buddy DeFranco. This release features Anderson’s basic trio, which includes pianist Darin Clendenin and drummer Mark Ivester, along with guests Greta Matassa (vocals) and Jeff Busch (percussion). And, by the way, Anderson is a vocalist himself; witness Bill Evans’ “Only Child,” one of this album’s tracks. The group’s style lives up to a Seattle reviewer’s description: “for the connoisseur to savor.” This is excellent, lightly swinging jazz: the kind that demands repeated listening. The opening track, “Twelve Tone Tune Two” (another Bill Evans composition), is my favorite; the interplay between Anderson and Clendenin is marvelous. That’s also the case with the album’s title song, which Anderson composed. Equally expressive treatment is given to two standards: “Over and Over Again,” by Rogers and Hart; and “Poinciana by Simon and Bernier.” The rest of the menu consists of tunes composed by Anderson, or in conjunction with him; he’s an impressive writer. Anderson is a “new to me” talent, although he has been around for more than three decades. That’s one of the problems with “territory” artists and groups: It’s easy to miss them. Well, consider me a fan now.